Earlier this year, Toni and Dayna from Lifehack had been working with a bunch of Lifehack community members to co-design a series of opportunities for people to upskill in a variety of tools that Lifehack has developed in partnership with others (like Ngā Uri Ō, and borrowed (like Five Ways to Wellbeing or Experiments). Lifehack has been exploring the Māori concept of ako (mutual learning) in many of our programmes. We are looking to offer opportunities for a variety of community members to hold space and learn from one another, starting in an online context. We kicked off this codesign process by identifying two user groups to explore some of our ideas with: young people directly and Lifehack Fellows (people who were part of our Flourishing Fellowship programme). We decided to take a road trip to Tauranga as well as host an online space to further explore how we can co-create shared learning opportunities for people interested in youth wellbeing. The first session, with a select group of young people, took Toni to Tauranga to check out RainbowYOUTH’s newest queer and gender diverse peer-support group. 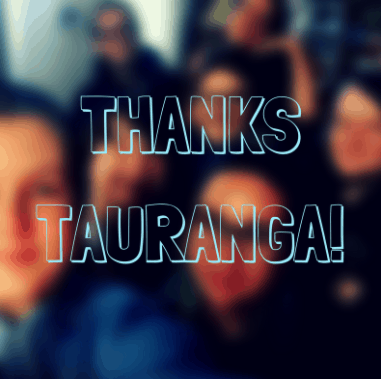 We were interested to know what sort of tools and experiences they require to grow safe, participatory spaces within their group and tactics to contribute in making Tauranga a safer place for queer and questioning youth. What came through loud and clear was the need for young people to be heard by adults. Many of the group members shared stories about not being taken seriously in decision-making processes at high school. It appeared that this experience influenced their desire to engage with civic duties (eg. voting) as they weren’t confident that their voice would be heard. The sentiment of young people not feeling heard seems to be echoed across the country in many different ways. One of them is the decline in young people registering to vote, as evidenced in this 2011 Ministry of Youth Development (MYD) briefing document and in this blog post summarising some of our work on the topic in 2015. Similar to the work conducted in 2009 by MYD, the RainbowYOUTH peer-support group too, were keen to explore short-term volunteering opportunities in their community to decrease stigma (aimed towards them for being queer/gender diverse) and to increase their own employability. It emerged that this group of 16-18 year olds from Tauranga would like to share with others was around reducing stigma, discrimination and stereotyping. demonstrating to adults that “young queers can live successful lives”, breaking down the stereotype of “queers being highly sexualised” and introducing parents to role models from within the queer community who are successful was this prevailing emerging theme of the session. Secondary to this was a basic Queer/Trans 101 training whereby people not from this (queer/trans) community can learn about diverse sexuality/genders and how to go about creating safe, inclusive communities for those who identify in this way. 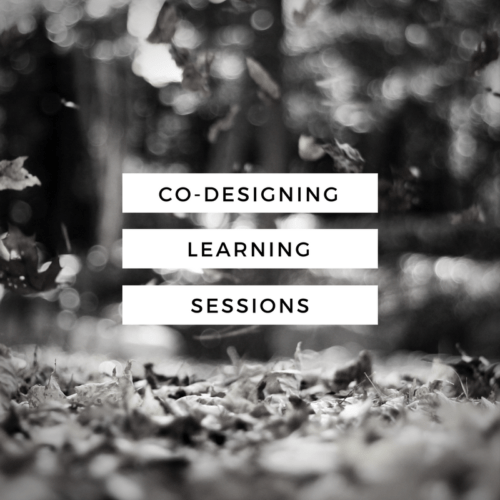 We were lucky to have seven people participate in this codesign session. The group consisted of people from 2015 & 16 Flourishing Fellowship programme. With the assistance of Katrina (2016 Fellow) we facilitated an online workshop that sought to further understand key topics, skills and knowledge that our community see as key to share with members of their respective community. What tools, methods or skills learnt through a Lifehack experience dramatically improved your practice, personal wellbeing and/or ability to improve the lives of young people? What types of experiences would you like to have in the future that you think would enhance your practice? There is a clear relationship between theory and practice, some of us are more practical than others (and vice versa). Having an evidence base to launch from as well as the tools to create our own evidence is key to try new things. Likewise, using fun games to explore serious concepts helps us learn and connect with one another is another key way to build knowledge and relationships. There are specific tools, like the Social Lean Canvas and storytelling practices that need adaptation when using them in different contexts, and Lifehack is placed well to bridge those worlds. Spaces, be it online or off, need to be inclusive, participatory and diverse. With good facilitation we can inspire each other to do great things. These spaces can be created and enhanced through ako (mutual learning). Decentralising knowledge means that the Lifehack team won’t be the ones holding space, it’ll be as much up to the participants as to us. Through this process, we’ve understood that what most people are after are bite-sized chunks of interactive sessions in an in-person or webinar on a variety of topics, by a variety of people (diversity is key). Want to keep up to date on this opportunity? Please join our mailing list here or fill out the small form below.